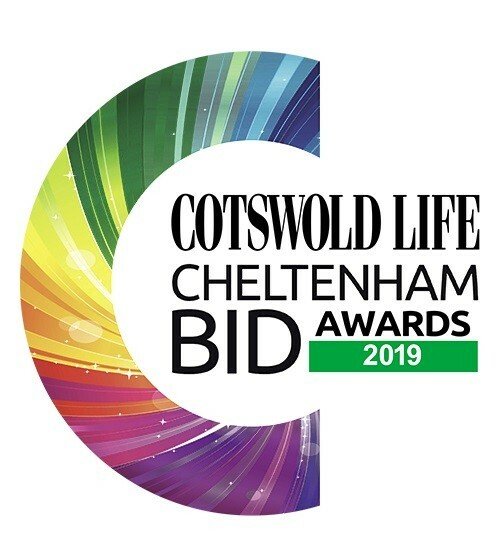 We are absolutely delighted to be launching the Cotswold Life Cheltenham BID Awards 2019. The closing date is March 4th. Businesses can vote for themselves. Last year, for the first time, we celebrated the brilliant businesses which make Cheltenham town centre the vibrant, dynamic, diverse area that it is, you can see our 2018 winners here. The response was phenomenal so we have partnered with the board of Cheltenham BID to continue these awards. From sensational independent boutiques to lively restaurants, pubs and cafes, gorgeous beauty salons to expert professional services and brilliant shop assistants, we’re looking for the cream of the crop. Promenade to Montpellier, and down to the Brewery Quarter. Since its inception in 2016, the board behind the BID - Cheltenham’s Business Improvement District - has done a huge amount to raise the profile of the town as a retail and leisure destination. High-profile campaigns over the past few months have included the introduction of the Cheltenham Gift Card – now accepted by John Lewis; the dazzling Christmas lights switchon event and the negotiation of free parking for festive shoppers. It’s also campaigned for major infrastructure projects, including the £700,000 project to revamp the High Street. Those who visit Cheltenham are lucky enough to enjoy the huge range of restaurants, bars and leisure outlets in the dazzling Brewery Quarter. charming independent boutiques and salons of Montpellier, along with its quirky pubs, are a dream for visitors and residents alike. And with the opening of the dazzling new John Lewis in the old Beechwood Shopping Centre, Cheltenham’s status as the county’s premier retail destination is sealed. If you know a fantastic company - be it a hair salon, a cracking pub, a charming shop assistant or an estate agency - you can nominate them here, just take a look under the categories tab. We’re so looking forward to celebrating all your incredible achievements yet again, and putting Cheltenham firmly on the map.